Lee decided to return home after the 2011 season. 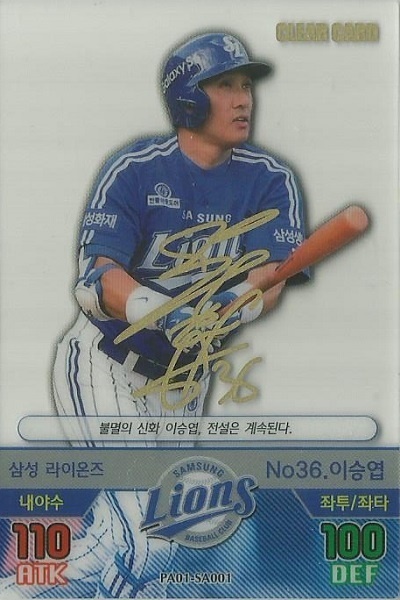 He came back to a juggernaught Samsung Lions team that would go onto win three more championships during his time. 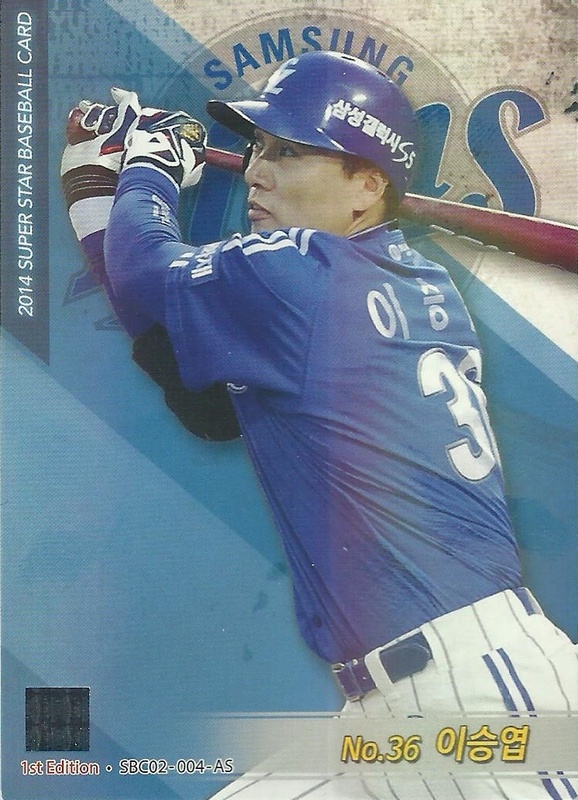 I do not know of any 2012 or 2013 Korean released cards aside from Doosan's team issued sets so Lee's cards start up again in 2014. 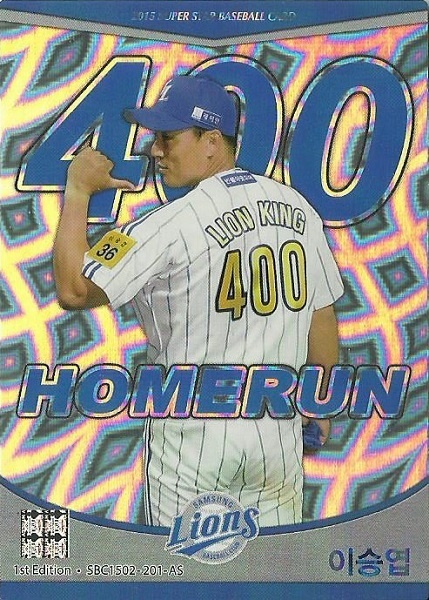 I'm putting all his post-Japan cards in this one post and under one heading.